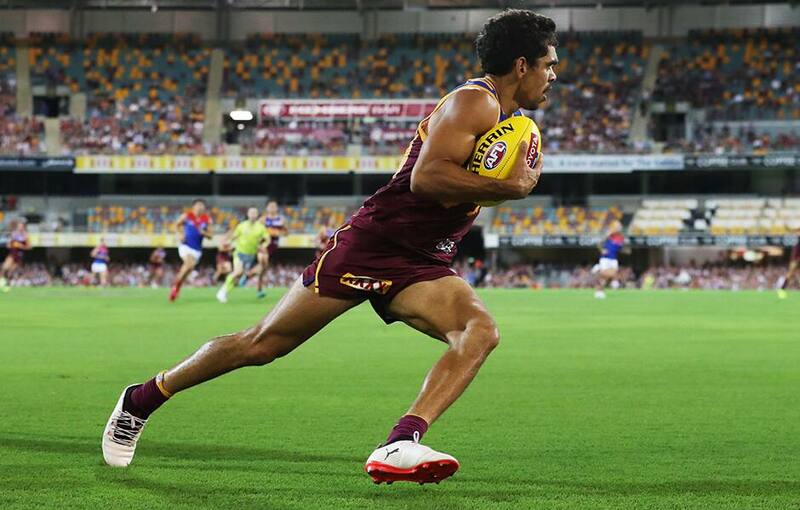 Brisbane is set to remodel its centre-bounce set-up with a focus on speed – rather than big-bodied midfielders – in response to the AFL's new starting positions. Each team must station six players inside each 50m arc, including one in both goalsquares, with four others in the centre square, plus two wingmen, at the beginning of each quarter and after goals. The general consensus among coaches is that scoring will spike as a result of the decreased congestion, possibly by a couple of goals a game. Lions coach Chris Fagan, who was on the AFL's Competition Committee that analysed the state of the game and recommended rule changes, has tested a variety of onball units in match simulation. "Centre bounces look really open now, with just your four players in the middle and the wingers on either side and the forwards back in the 50," Fagan told AFL.com.au. "Bigger bodies are still important, but not necessarily as many of them. "The ball's going to get out in space pretty quickly, so speed and agility are going to be fairly important elements of winning the ball out of centre clearances." Fagan earmarked captain Dayne Zorko, top recruit Lachie Neale, Charlie Cameron and first-round draft picks Hugh McCluggage, Cam Rayner and Zac Bailey as centre-bounce options in that vein. Only Neale, while at Fremantle, and Zorko made at least 150 centre-square attendances in 2018, so it would be a dramatic change for Brisbane, which granted star midfielder Dayne Beams' trade wish last year. Rayner, the No.1 pick in the 2017 Draft, will spend more time in the midfield, but will likely still be used mostly as a forward this year. Strong-bodied onballer Jarrod Berry is highly rated at the Lions and will also have a role to play in the middle, while Mitch Robinson and Rhys Mathieson were others in there last season. "I think you can expect a (Brisbane) midfield that will share the load," Fagan said. "I feel like our midfield over my first couple of years – and it's no-one's fault, it's not a criticism – has been a little bit too much about Dayne Beams and Dayne Zorko. "That's understandable, because the other boys, like McCluggage and Berry, have just come on the scene, but they're third-year players now and their numbers are starting to look like bona fide AFL midfielders. "Then you throw Lachie Neale and Jarryd Lyons into that mix, who are elite at clearances and contested ball, and our ruck stocks are healthy with Stef Martin, Oscar McInerney and Archie Smith. "The thing I'm pleased with is that what I'm seeing is they're a group that might work well together, so the strength will be the unit and not just a couple of individual players."